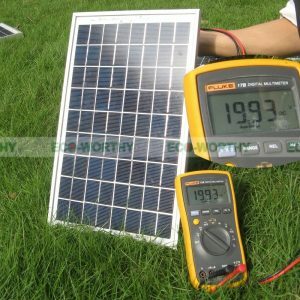 Thanks to SUNPOWER solar panels, benefit from a total solar conversion ratio up to 24%. 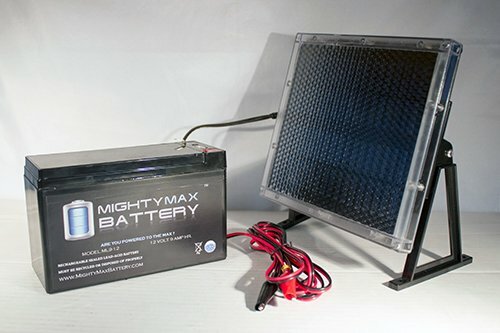 Make sure to always get the most power you can, whether you are home or hiking in a sunny day. Plug in up to two devices at once and let Nature take care of the rest. A lightweight portable device that will be no nuisance during your most adventurous treks. 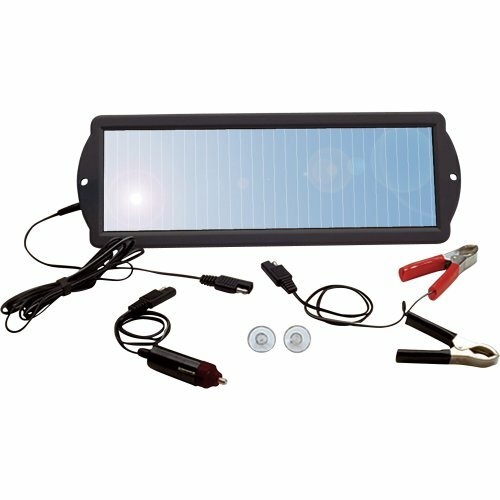 Hook it up to your backpack, tent, or up the nearest tree, and make sure to get as much power out of the sun as possible. 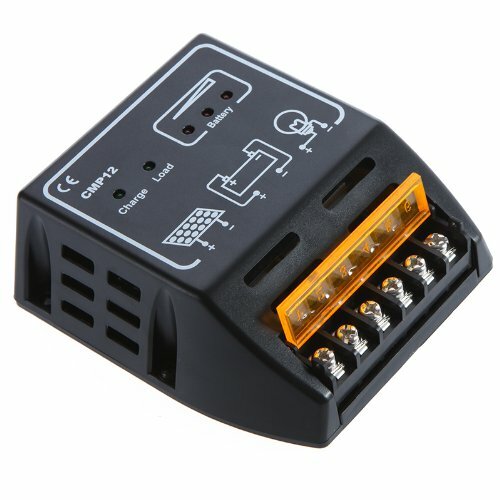 The ideal choice for camping, hiking, cycling, and any other outdoor activities where running out of power cannot be a concern. 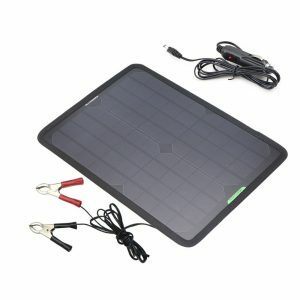 Charging two devices simultaneously with dual USB port, the PowerGreen 21W Solar Charger has maximum current output of 2A per USB port or total of 3A. 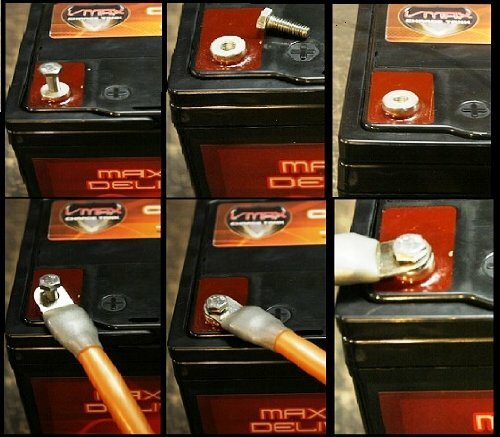 Your devices will be back to full battery in no time. Compact design (11.7×6.6in folded or 27.3×11.7in opened) and rugged stainless-steel eye-holes on each corner make attaching it to a backpack or tent a cinch. Super lightweight (1.3Ib) and thin (1.56in folded or 0.39in opened), it easily fits in a daypack. 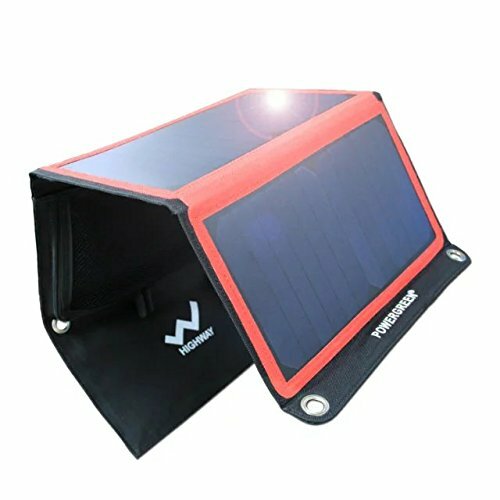 Be the first to review “Solar Charger, PowerGreen 21W Portable Foldable Solar Panel with 2 USB Ports for all 5V Mobile Devices” Click here to cancel reply.